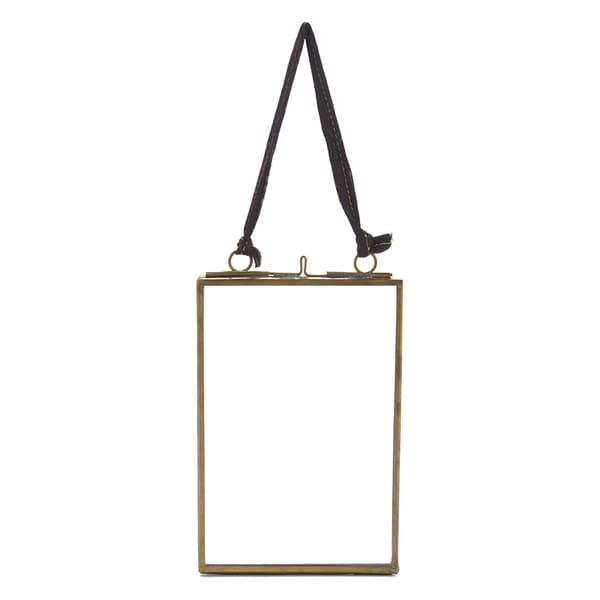 Made from brass these stylish frames are perfect for any home. The glass front and back make them great for photographs or other precious keepsakes like postcards, and drawings. They look great grouped together in a range of sizes and orientations. Each one is strung with a recycled sari tie.